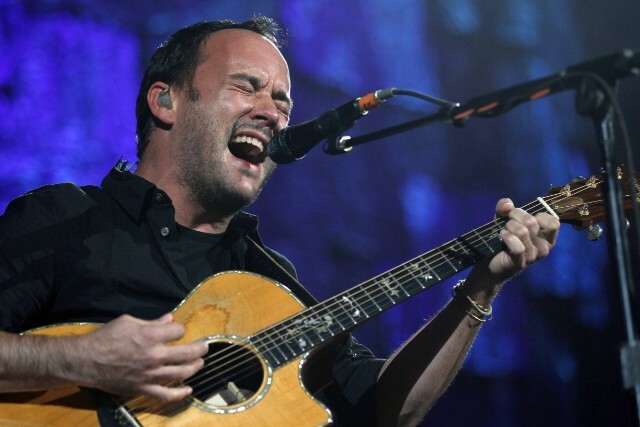 The Dave Matthews Band is probably one of our only remaining musical institutions that’s too big for festivals; they can, after all, cram stadiums full of fans on their own. But Matthews played plenty of festivals on his way up, and he watched the amazing, catastrophic Fyre Festival saga with the same glee as the rest of us. Last night, Matthews was a guest on Stephen Colbert’s Late Show, and the subject of Fyre Festival naturally came up. He had a pretty fun take on it. I don’t wanna belittle suffering, but I do hope that the Fyre Festival goes down as almost as fantastic as Woodstock. Because it is one of the greatest things that ever happened. I mean, it’s terrible! I know it’s terrible. But that kinds of disappointment, that kind of surprise, that’s just like… One of the beers that has a lot of advertising money, a guy just bursts through doors, and everytime a door opens or a curtain swings open, things get better, like, “Wow, wouldn’t it be great if life was like that?” That’s not what that is. The Fyre Festival is exactly the opposite of that. It’s like, “Man, it’s gonna be a [makes dying sound]!” It’s the worst! It’s the best! We would like to publicly invite Matthews’ nine-year-old to pitch us some criticism; he seems to have the knack.